Here’s a tasty sound byte from Free Kick’s most recent show (May 13th) featuring Booker T. & the M.G.›s. 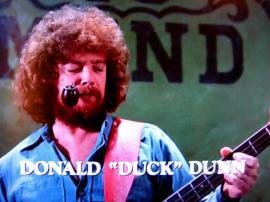 and kind words for renowned American bassist Donald «Duck» Dunn, who passed away this past Sunday. Free Kick is a weekly freeform musical mix hosted by Swan & Dave. It airs on CKUT every Sunday from 11 am – 1 pm. If you like what you hear, be sure to visit the Free Kick blog.